What's New For the 2019 Volkswagen Arteon? Inside you will discover refined features such as the leatherette surfaces and heated front seats. Push-button start and keyless entry are standard along with the eight-inch touchscreen infotainment system. Options offered on the 2019 Arteon include a massaging driver's seat, Nappa leather seating, heated rear seats, a power trunk, a panoramic sunroof, a VW Digital Cockpit, and data and navigation reconfigurable display. What Features does the 2019 Volkswagen Arteon offer? The 2019 Arteon's trim levels spread out the available systems being offered over multiple versions with different price points. 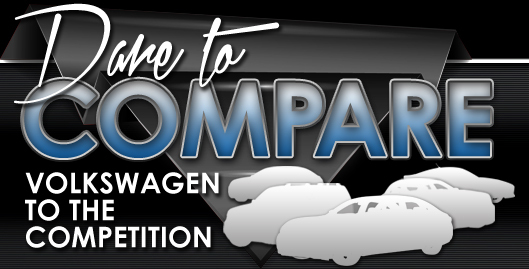 Their Base trim level is well-equipped for a reasonable cost. Exterior features include LED taillights, chrome strips along the sides of the windows, headlights, and daytime running lights, keyless access, and aluminum-alloy wheels. The interior of the Base trim level sports a Composition Media infotainment system, a leather multi-functioning steering wheel, auxiliary and USB connectivity, a progressive steering system, and a driver alert system all for your comfort and convenience. The Elegance and R-Line trim levels add additional features to what comes standard on the Base level. Exterior upgrades being offered on the Elegance trim level are chrome door mirror caps, 18-inch Muscat aluminum-alloy wheels, LED taillights with dynamic indicator light function, heated windshield washer jets, and chrome trim strips on the lower body of the car. Inside you will discover seats with contrast stitching, floor mats that coordinate with the heated seats, and aluminum-look pedal covers. 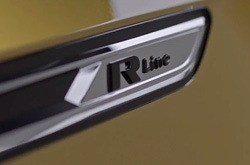 The R-Line trim level rounds out the Arteon offerings with a Titan Black headliner, a special R-Line steering wheel, and R-Line logo stainless steel kick plates. Exterior upgrades being offered include the unique R-Line chrome plated exhaust tips and bumpers and a high-gloss black finish that sets this version apart from other trim levels. The 2019 Arteon has a 2.0-liter TSI turbocharged engine that provides you with 268 horsepower and 258 pounds to foot torque. Fuel economy gets a boost from the Start-Stop System that comes standard on this model, and the engine comes with an eight-speed transmission. The 4Motion system distributes available power between the front and rear wheels as driving conditions change in order to provide you with optimum traction and stability. In addition, the DCC Adaptive Chassis Control allows you to pick the driving mode that is best suited to your individual style. Pick from Comfort, Normal, or Sport. What are the Safety Features of the Arteon? The 2019 Volkswagen Arteon comes standard with key safety features like forward collision warning, autonomous emergency braking, a rearview camera, blind spot monitoring, and rear traffic alert. Also available on the Arteon is adaptive cruise control with stop and go, park distance control, lane assist, park assist, and an overhead camera view. 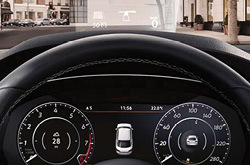 All of these features, combined with a comprehensive airbag system, will keep you and your passengers safe.